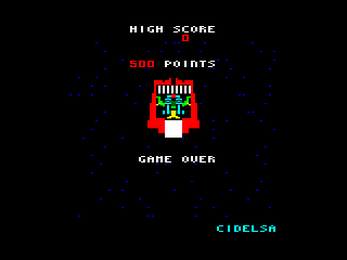 In 2013, Ivanzx, on his blog El rincón del Spectrum, started a contest to port any game from a spanish arcade machine to the ZX Spectrum. I decided to port Altair, a game from 1981 by the spanish company CIDELSA, which is a shoot 'em up with some interesting gameplay. It was finally the winner of the contest. I released the game under the pseudonym Inmensa Bola de Manteca. When I was I child in Spain, as a joke, my friends used to say that the initials of the computer company IBM meant Inmensa Bola de Manteca (Immense Ball of Butter). The game was programmed completely in Z80 assembly. 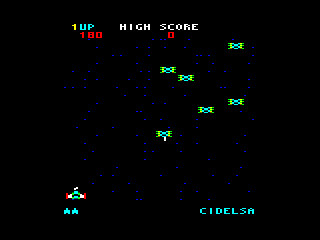 Later, I ported it to the Amstrad CPC. The original game page is here: https://jorgicor.niobe.org/altair . 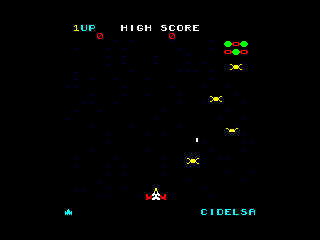 The emulated version that you can play here in the browser is the version for Spectrum. I am using the free software emulator JSSpeccy2 , but I had to revert to version 2.1 of this emulator (which does not play sound) because with sound there was a lot of strange noises in the last version. 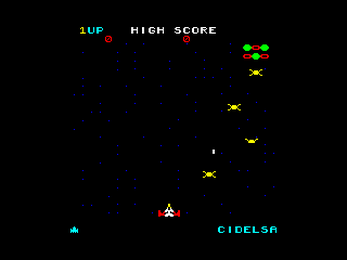 So you can play the game this way, but if you want a total faithful gameplay, and truly 80's arcade sound, I recommend instead using an emulator compiled for your operating system. For example, Fuse for Zx Spectrum emulation or Arnold for Amstrad. Below you can find the Altair complete package. It contains the tape images to use with Spectrum emulators, disc images to use with Amstrad emulators and manuals in PDF, everything in Spanish and English. 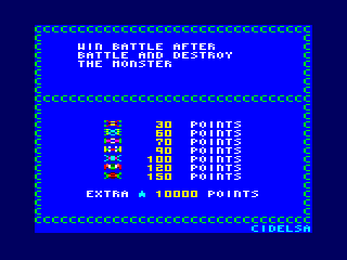 The Altair source code contains the complete source code of the game and tools required to build it except the assembler. Read the included file README.md for instructions.